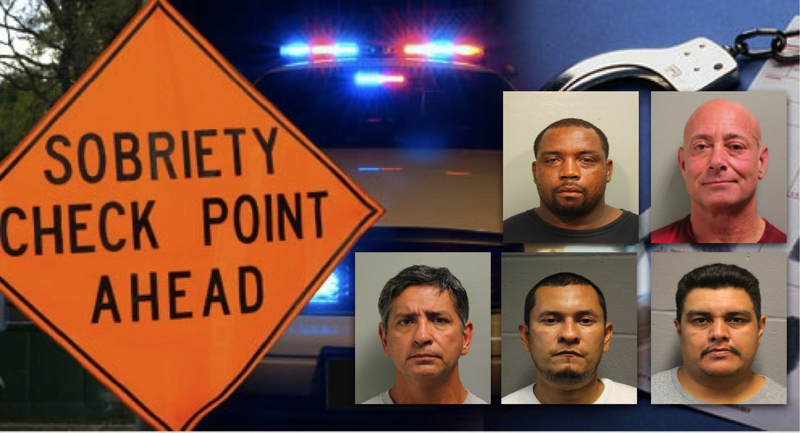 Harris County, Texas – May 31st, 2016: Throughout the Memorial Day Weekend, Deputies with the office of Constable Mark Herman worked to deter the dangers associated with intoxicated drivers by making five (5) DWI related arrest. Each of the individuals were arrested by deputies assigned to the DWI initiative during the holiday weekend. The initiative involved a combined effort of multiple law enforcement agencies all working to keep the roadways within Harris County and the surrounding area safe for all to travel. On May 27, 2016, Deputy Sanville stopped the vehicle operated by Larry C. Horton within the 3200 block of W. F.M. 1960 for traffic violations. Horton was observed displaying signs of intoxication and following an investigation, he was arrested for the offence of Driving While Intoxicated. On May 28, 2016, Deputy A. Rodriguez responded to the 9100 block of Durango Point regarding a motorist stopped by another patrol unit for traffic violations. The driver, Raymond E. Bessette, was noticed displaying signs of impairment and following an investigation, he was arrested for the offense of Driving While Intoxicated. On May 29, 2016, Deputy J. Loucks responded to the scene of a motor vehicle crash located within the 10600 block of W. F.M. 1960. Ernest Trevino was the operator of a motor vehicle involved in the crash and investigating units observed signs of impairment. Following an investigation, Trevino was arrested for the offense of Driving While Intoxicated. On May 29, 2016, Deputy J. Santos responded to the 2800 block of Spears Road where a vehicle operated by Esteban Elias Alvarado-Cardoza had been stopped by another deputy for traffic violations. Alvarado-Cardoza was displayed signs of impairment and following an investigation, was arrested for the offense of Driving While Intoxicated. On May 30, 2016, Deputy D. Cole responded to the intersection of Aldine Westfield Rd. and Bellchase Drive to assist another patrol unit with an impaired driver who had been involved in a motor vehicle crash. Thomas Morales Jr. was observed operating a motor vehicle by a citizen. The vehicle operated by Morales then collided with the other citizen’s vehicle. Following an investigation, Morales was arrested for the offense of Driving While Intoxicated.